Company Registered,consist of 4 Title Deeds. 15 ha irrigation rights with mother line and pump. 70% of the farm is game fenced with 3 game camps..
3 earth dams ,water from mountain streams and fountains. 2 Cattle handling facilities, one with scale and loading bench. 1 Open store. Accommodate various implements/vehicles. Geregistreer in Maatskappy, 4 Titelaktes. 15ha Besproeiingsregte met moederlyn en pomp. 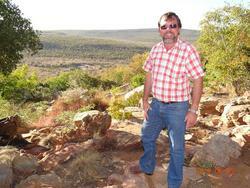 3 Gronddamme gevoed deur bergstroom & fonteine. 2 Beeskrale, een toegerus met skaal en 'n laaibank. 1 Oop stoor, kan verskeie plaasimplimente/voertuie huisves.